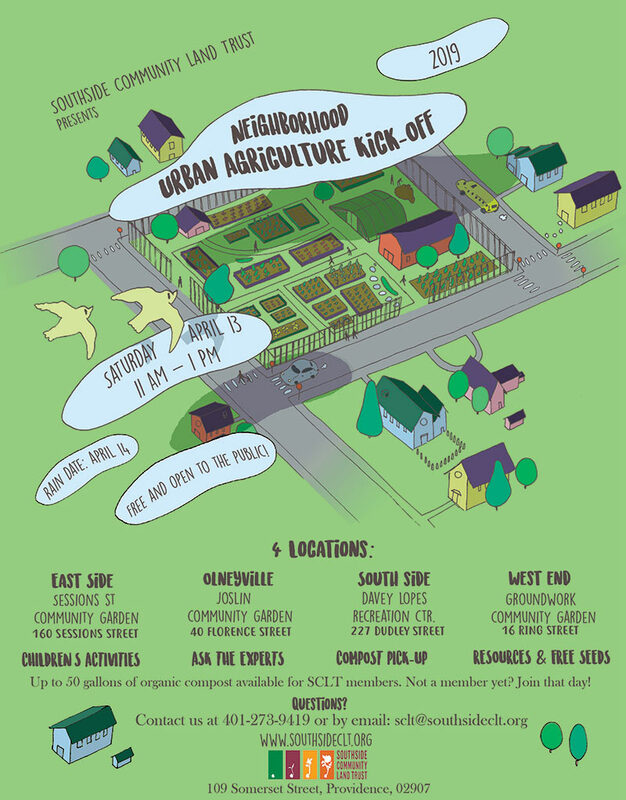 Southside Community Land Trust is holding is annual Urban Agriculture Kick-off this year on Saturday April 13th — at four locations in Providence! Click image to open as PDF. 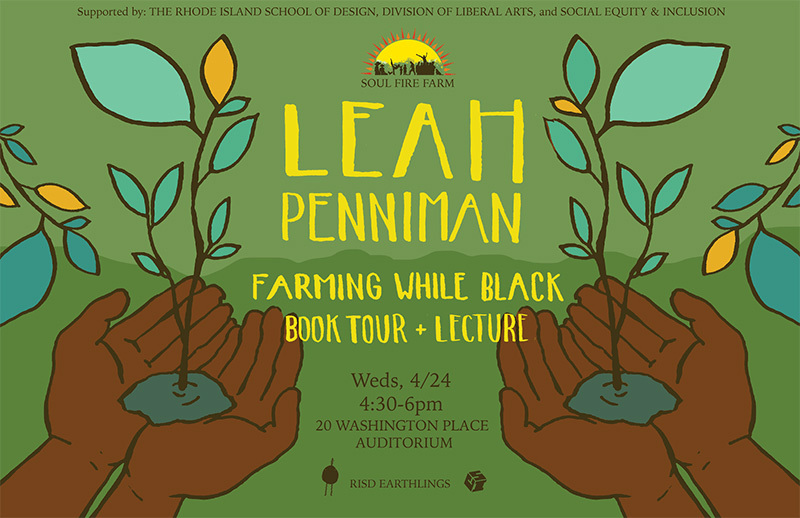 RISD Earthlings, in collaboration with the Division of Liberal Arts and SEI, has invited Leah Penniman, co-founder of Soul Fire Farm, to speak about her work as a food justice activist and her book Farming While Black. Please RSVP for a free ticket HERE. The event is open to the public. Book sales and a book signing will be held after the talk. 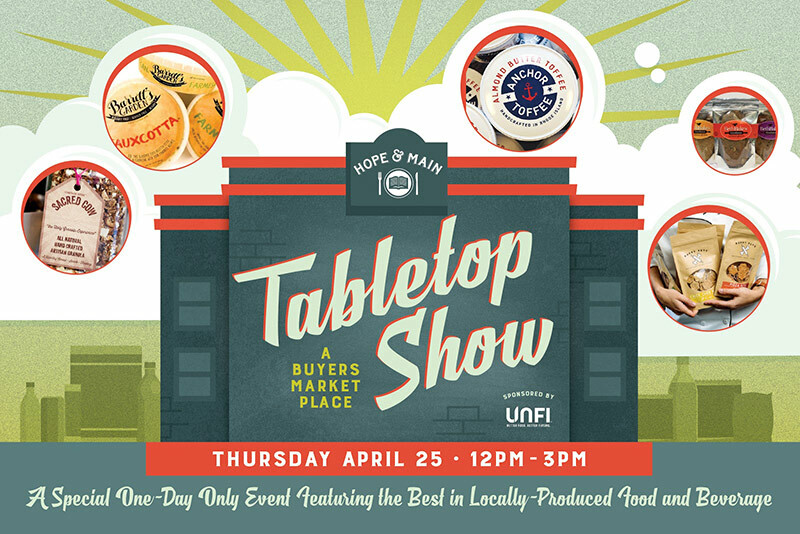 Hope & Main, Rhode Island’s premier food business incubator, will host its annual Tabletop Show for wholesale buyers on Thursday, April 25 from 12-3pm. 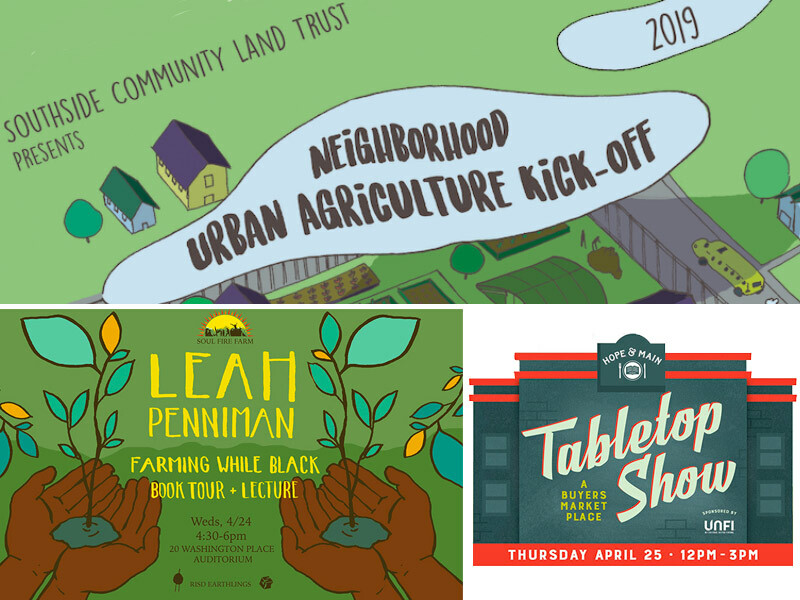 The event will feature 26 of the organization’s member companies, 10 of which are making their debut, all of which are hoping to be the next darling of the specialty food and beverage industry. Demand for locally-produced food and beverage products continues to accelerate as consumers become more mindful of their diets and adventurous with ingredients. This show is a unique opportunity for professionals working in food service, grocery, restaurants and distribution industries. The event will connect buyers with brands that represent a wide assortment of the latest and greatest small-batch products. Buyers that attend can take advantage of special discounts on day-of orders and find products that are at the forefront of industry trends. Long-time champion for the quality and integrity of food, United Natural Foods Inc. (UNFI) has generously stepped up to sponsor the event for a second year. Hope & Main’s unique approach to assisting emerging food brands continues to rival some of the top performing incubators across the nation. Now in its fifth year of operations, the organization boasts over 40 graduated companies and approximately 200 overall participants in their incubator program. This event will be held at the Hope & Main facility located at 691 Main Street, Warren, RI, with free parking and free admission for industry professionals. Complimentary locally-sourced refreshments catered by new Hope & Main member, Good Vines will be served. Find more information and get tickets, or call 401-245-7400.